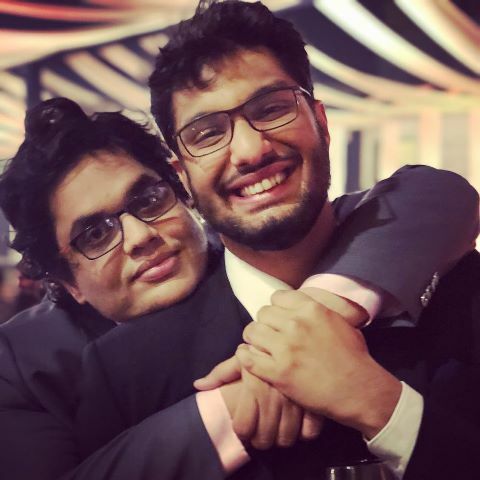 New Delhi: Comedy group All India Bakchod (AIB) on Monday said AIB co-founder and CEO Tanmay Bhat will be stepping away from the business association immediately, until further notice and co founder Gursimran Khamba will take a leave of absence. The statement was issued in wake of the allegations of misconduct against Tanmay Bhat and Gursimran Khamba. Tanmay is said to have been aware of the allegations of sexual misconduct against comedian Utsav Chakraborty. In an earlier statement, AIB accepted that Tanmay had knowledge of the accusations, and that he was informed of the harassment meted out by him to a woman who had confided in Tanmay. Gursimran Khamba, on the other hand, has been placed on temporary leave following allegations that he emotionally harassed a woman and showered her with unwanted attention. In an Instagram post, Khamba admitted to behaving inappropriately but denied being 'forceful'. ''We have been closely monitoring the sequence of events on social media around the allegations against AIB and also against our co-founder and CEO, Tanmay Bhat. We cannot overlook Tanmay's role and in light of this, he will be stepping away from his association with AIB until further notice. This implies that Tanmay will not be involved with the day to day functioning of AIB or in any other manner,'' the statement said. ''We have also just been appraised of the allegations against Gursimran Khamba on social media. At this point in time, these allegations pertain to a private matter and he has released a statement of his own about the same. However, as an organisation, we believe that it would be prudent to place Gursimran Khamba on a temporary leave of absence until we have more clarity on the matter,'' it said. ''We understand that disconcert of any kind adversely affects the work culture and creates an unsafe space for our employees. Nobody should have to work in an environment such as that, and we hope to enable measures to establish our commitment to creating a gender sensitive work space. We are in the process of consulting various experts to ensure that our work culture incorporates sensitivity, inclusivity, respect and fairness,'' the statement read. ''As mentioned, at this time, both of our senior partners are immediately steeping away from all business at AIB. Truthfully, we do not know what this means for the future of AIB or whether there is one. In the interim, Ashish Shakya, Rohan Joshi and other senior team members will work towards being able to answer that question over the next several months,'' it added.